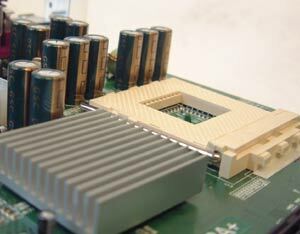 Epox has cleared the CPU socket area of most obstructions and you can fit just any type of medium-sized heatsink you want on this board. With the four mounting holes around the CPU socket, we didn't have any problems putting a Zalman, Swiftech MC462-A or Alpha PAL8045 on the motherboard. 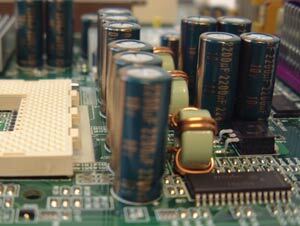 The real beauty of the board is in its BIOS. There are so many tweaks and overclocking options to keep everyone happy! From CAS Latency adjustments to AGP Timings to Multiplier adjustments, everthing you need is right there. As you can see Epox has spared no expense when it comes to memory tweaking. There are just so many different combinations. 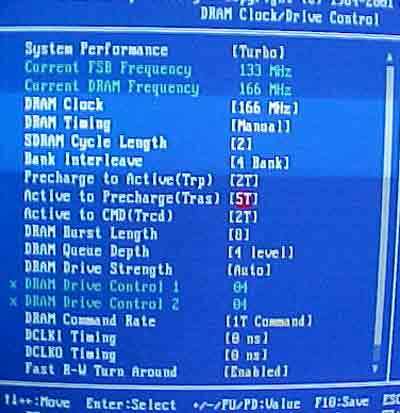 You can adjust the DDR RAM frequency from 100/133/166 MHz, CAS Latency, Bank Interleave and even DRAM Command Rate. 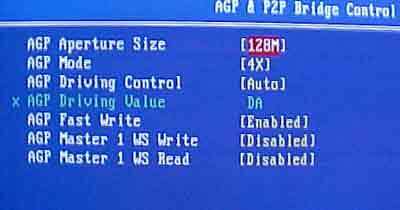 If you can't find the memory tweak you want here in this bios you won't find it anywhere. Regular set of AGP controls, from Aperature Size, AGP mode and Driving Control. Under Frequency Control we can tune the FSB 1 MHz at a time between 100-255 MHz and a full set of multiplier controls. 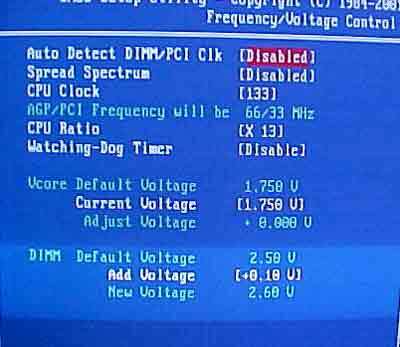 As you can see, you can also adjust the CPU and DIMM voltages and this is where Epox truly shines. 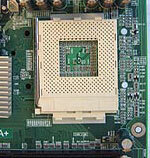 CPU voltage can be upped to 2.2V and the DIMM can be raised as high as 3.2V. 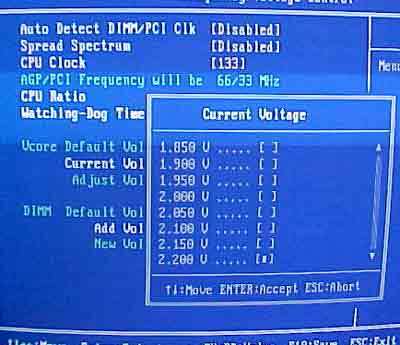 More extreme overclockers now don't need to voltage mod their motherboards to reach these high voltages. Of course at 2.2V, you'd better have some sort of water cooling at least to keep that Athlon/XP cooled because it will generate a lot of heat! Overclocking the 8K3A+ was a very interesting adventure. We had some pretty weird results, because of the KT333CE's 2/5th AGP and 1/5 PCI divider, we found that the performance of the motherboard wasn't all that great. In fact, even at 180 MHz FSB's we could barely beat out older KT266A based boards at 166 MHz. We noted that in the KT333CE VS KT266A article. We were able to get it up to a 180 MHz FSB however as you'll see the performance is honestly not all that impressive.